As the city has expanded and ring road after ring road has encircled the city’s 22 million-plus residents, the great outdoors can feel further removed than ever from daily life in Beijing. Beijing’s parks can provide an opportunity to get away from the city’s traffic and noise. Beijing, the sprawling capital of China, is famous worldwide for many things. It has an incredible history stretching back thousands of years, it’s the beating heart of a culture that has fascinated the outside world for generations, and, of course, it’s the modern-day administrative and political center of the world’s second-largest economy. But one thing this gigantic metropolis doesn’t have a reputation for is green outside space. As the city has expanded and ring road after ring road has encircled the city’s 22 million-plus residents, the great outdoors can feel further removed than ever from daily life in Beijing. But if you look hard enough, opportunities to get back to nature can still be found. Far from being just a quick stop for tourists to cross off their bucket lists, the Great Wall of China is a fascinating treasure of the ancient world, and visiting it also entails getting out of the city and into the countryside. What’s more, to fully appreciate the Wall, you really need to visit more than one of its many sections. With varying degrees of accessibility and in very different conditions, depending on how recently they have been restored, the different sections can feel like entirely different places—and they are, since the Wall stretches more than 8,000 kilometers from Liaoning Province in the east to the Xinjiang Uygur Autonomous Region in the west. In some places, painstaking conservation has restored the Wall to its former glory, and it’s easy to imagine the soldiers of centuries past patrolling along the jagged ramparts. Elsewhere, the whole structure has been left untouched, and nature has reclaimed it, with encroaching undergrowth almost swallowing it up in places. A visit to one of the quieter sections of the Great Wall can be an unforgettable trip out of Beijing, and a chance to get out in the open air. It’s good exercise, too, since the Wall is very steep in places, undulating according to the natural slopes of the terrain. 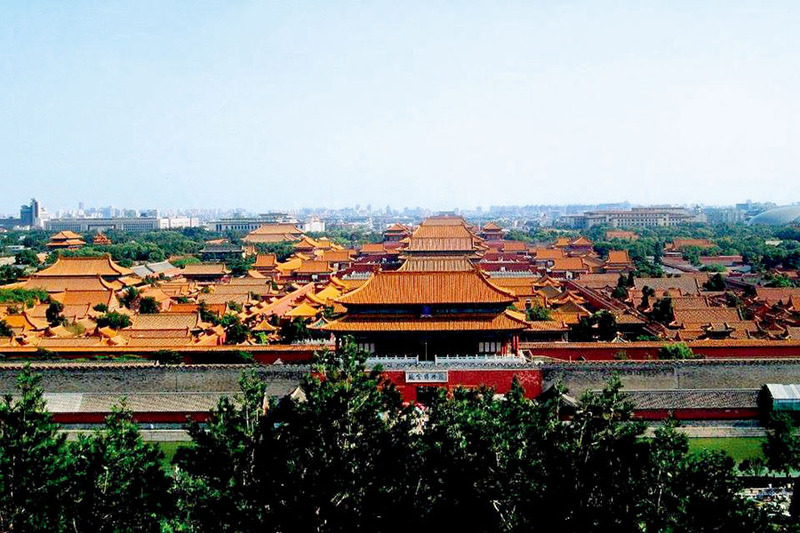 On a clear day, the view across the Forbidden City from Jingshan Park is spectacular. 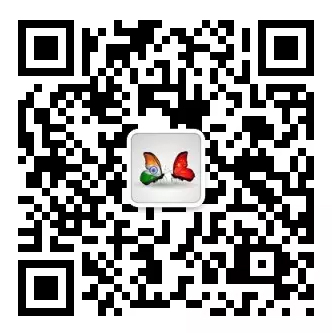 Other options that usually take up a day trip include the districts that are administratively classed as Beijing, but are not part of the main city. These are often overlooked, as it’s easy to assume that anywhere labeled ‘Beijing’ must be part of the concrete jungle, but just a short journey out from the city center, it’s possible to find yourself right back in the heart of nature. 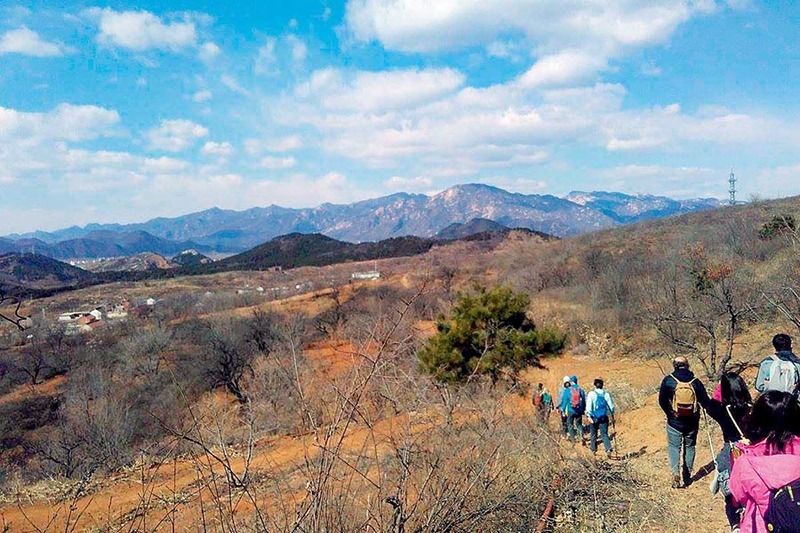 Miyun District in the northeastern suburbs of Beijing, for example, has some amazing scenery and allows you to get out for a walk in the countryside. Here, paths wind between orchards and pine forests, circling farmland and small villages. The terrain can be hilly, but the views are worth it! Another option is the Fragrant Hills, in the northwest of the city; a feature in every tourist guide book, they are flooded with people every autumn, when the leaves famously turn fiery red. Visit in another season, however, and it’s possible to enjoy a much quieter stroll among the trees at the foot of the Western Hills, which are just as impressive all year round. Hidden gems like these are dotted around the periphery of Beijing city center, and all are well worth a visit. 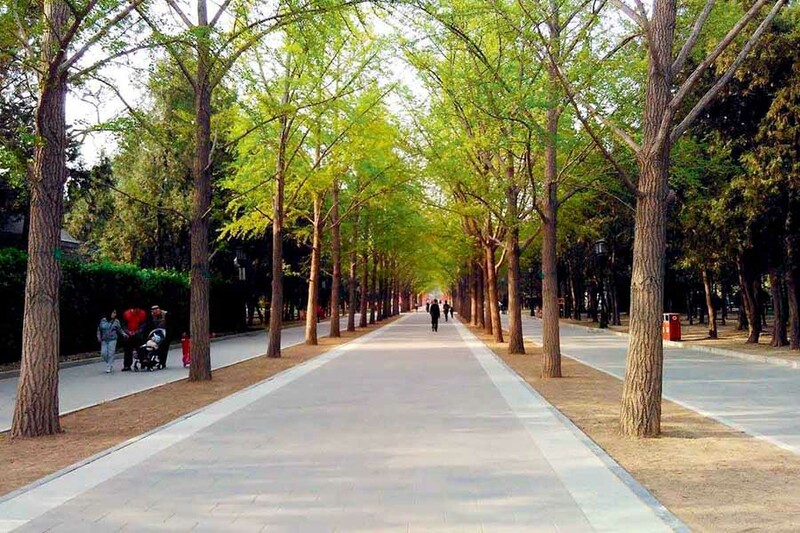 If you don’t have the time or energy for a trip out of the city, Beijing’s parks can also offer a brief respite from the traffic jams and rushing shoppers. They are dotted around the city's different districts, and each has its own particular character. Yuanmingyuan Park, also known as the Old Summer Palace, features sweeping willow trees and picturesque lakes, home to the resident swans. Then there’s the Summer Palace itself—more of an attraction in its own right than just a park, but also beautiful, and dominated by the vast Kunming Lake. If sweeping vistas are what you like, Jingshan Park lies just north of the Forbidden City, offering a panorama of the whole imperial architectural complex. On a clear day, you can see right across the city. Each of these parks acts like an oasis in its respective local area, providing a home for wildlife and an opportunity for people to spend some time re-connecting with nature. Miyun District, in northeastern Beijing, can make tourists feel as though they are worlds away from the city center. Of course, this is still Beijing, so a visit to a local park doesn’t always mean peace and solitude—the crowds can’t be escaped that easily—but even a short spell of time outdoors can be what it takes to shake off the city blues. If you have the ability to get out of the city and explore a little further afield, even better. With spring well and truly upon us, why not take the chance to head outdoors and see what Beijing has to offer? You might just find that it surprises you. Photographs courtesy of Nick Lanigan.